Cotterman Fixed Steel Ladders with Walk Thru and Cage - 31'8"
The F29WC Cotterman Fixed Steel Ladder with Walk Thru and Cages is a heavy duty one-piece welded ladder that is designed for safe landing access on the jobsite. The F29WC Cotterman Standard Fixed Steel ladder is 31'8". 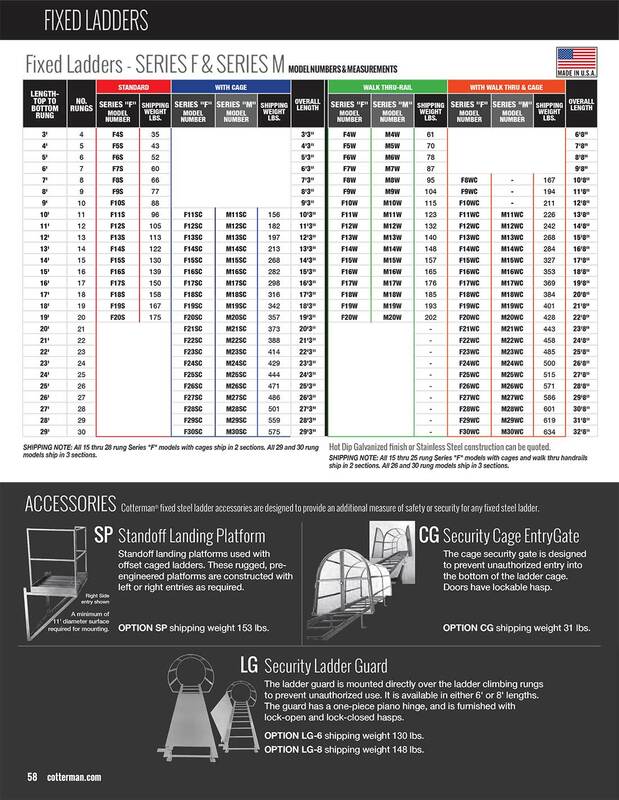 This Cotterman ladder design includes walk-thru handrails that extend 42" above landing surface.